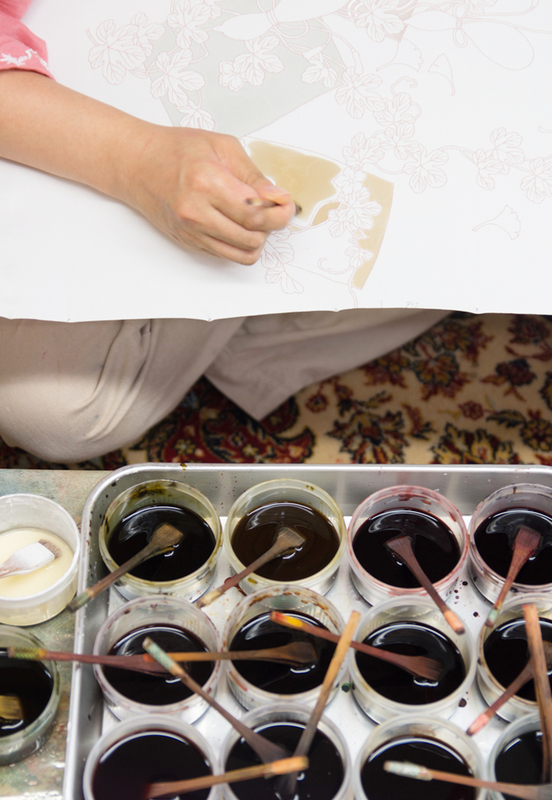 This workshop allows you to paint a yuzen pattern from an old pattern book. You will have a chance to have an initiation into hand-painted yuzen sitting next to a female artisan and learning the techniques from her. You will also receive a yuzen-dyed pen case as souvenir (it's made from the fabric which is used to make the kimonos of maiko in Gion).